At Worsley Training we deliver practical and memorable First Aid training courses for parents, children, childcare professionals and small businesses. 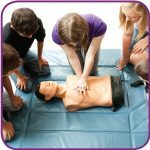 We specialise in Paediatric First Aid and enjoy working with schools to train pupils, teachers and parents alike. 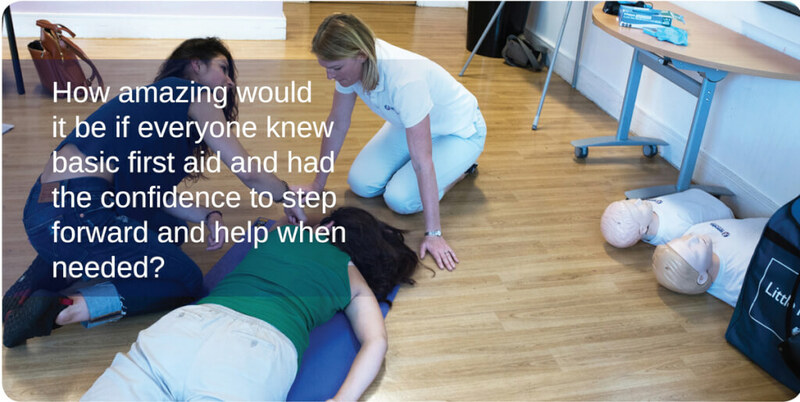 All of our courses are designed to bring First Aid to life in a memorable and enjoyable way. Originally based in London, we have recently moved to Upavon in Wiltshire. 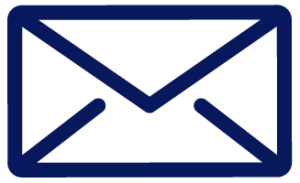 We teach primarily in Wiltshire and Hampshire and neighbouring parts of Oxfordshire, Berkshire, Somerset, Gloucestershire and Dorset and will consider other locations on request. Covers essential and everyday skills to deal with the initial treatment of a baby or child. Accredited 6 hour course for nannies, nursery, pre-school and reception year teachers. 12 hour course also available. 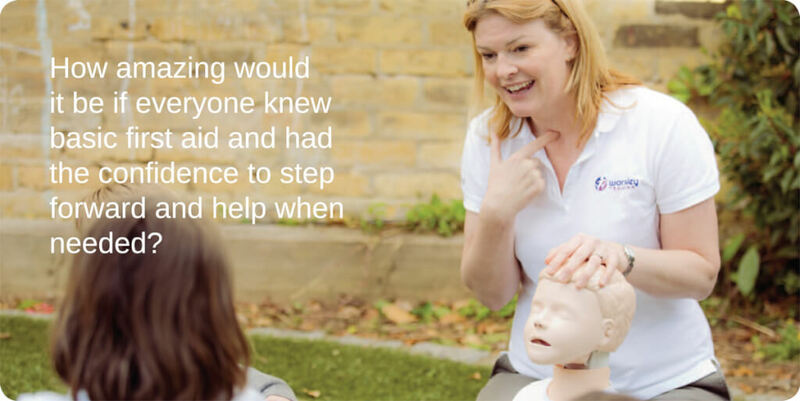 Teaching First Aid as a skill for life as soon as children can recognise the number 999. Helping teenagers look after each other, for example when being sick, having an asthma attack or sustaining a head injury. Handling emergency situations including CPR and using a defibrillator. Accredited and non-accredited options available. To meet Health and Safety requirements. 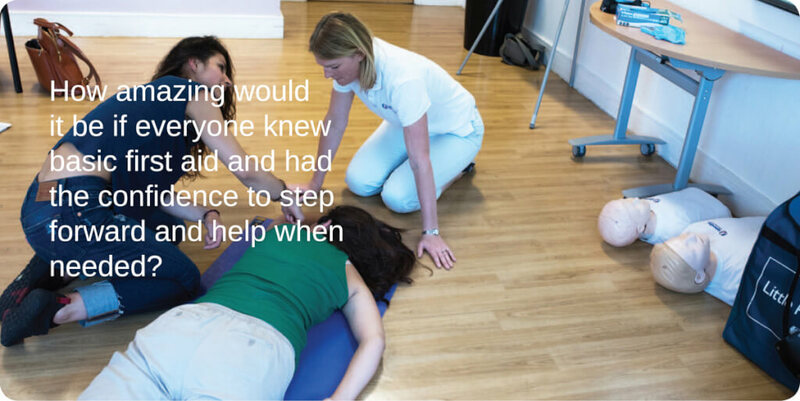 Accredited 1 day course covering essential and everyday skills to deal with the initial treatment of an adult. First Aid for families, or Paediatric for teenage babysitters. 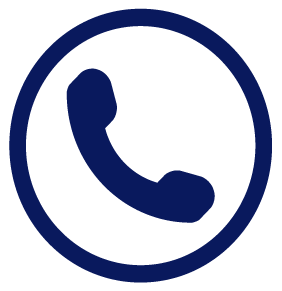 Please feel free to call us if you are unsure which course is best suited to you. We can travel to your venue or arrange a suitable classroom if needed. Check the individual course pages for upcoming public dates. Watch our short video clip on how to use an Automated External Defibrillator (AED) to help someone whose heart has stopped beating.